Sydney Mindfulness Training conducts workshops in the important skill of mindfulness and stress reduction. 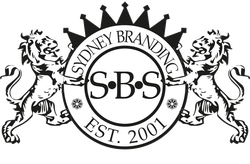 The website by designed and produced by Sydney Branding Services employs an easy to use CMS enabling it to be maintained by anyone without the need for technical knowledge. The website can take registrations and payments all of which can be changed easily and it links with the major social media channels so clients can pass on the word about the benefits of mindfulness and stress reduction.